The Poky Little Puppy and other awful canonical children’s books. The scourge of terrible canonical children’s books. Reading to one’s children is, as everyone knows, one of the great pleasures of parenthood. I love the creaturely warmth of my daughter snuggled up close and the feeling of giving her something intrinsically human and necessary. And Eliza loves being read to. She enjoys the stories and the pictures, but more than that, I think, she responds to the mental intimacy: the knowledge that she and I are looking at the same pages and interpreting the same sentences. It’s a balm for the terrible isolation that arrives around age 2, along with language and self-consciousness—the knowledge that one’s experience is inescapably private. And so the time I spend reading to her can feel, for both of us, like communion. You can find things to enjoy in a really good children’s book, even after dozens of readings. It’s always fun to say Dr. Seuss’ words out loud and to look at his distinctive line, immediately recognizable in the smallest tuft of grass. Ezra Jack Keats’ collages never lose their pleasing spontaneity. We like to think children respond to craftsmanship like that, but they don’t. They’re just as happy—maybe happier—with nugatory combinations of simple sentences and crude drawings. Eliza has gone through periods of attachment to a succession of worthless books: Good Night New York City, Doc McStuffins: A Knight in Sticky Armor, A Trip to the Doctor—the kind of subliterary commodities every family ends up acquiring at airports and supermarkets for placatory purposes. Though devoid of literary merit, such books have a redeeming virtue: They allow you, as you read them, to check out. The mechanics of reading occupy just enough of your brain to preclude serious thought but leave room for a fuzzy procession of images and associations. With practice you can achieve a state that feels a bit like the third hour on a solitary drive. I’ve gotten sufficiently adept that I’m pretty sure Eliza can’t tell when I’m doing it, except sometimes on long Sunday afternoons when I fall asleep in the middle and she has to poke me in the stomach. But there’s a third set of children’s books: those that fall into an uncanny valley between enjoyable literature and ignorable junk. These are books that exert an irresistible pull on adult consciousness but don’t reward it. They are malign presences on the bookshelf. They hurt. One of them may be the best-selling children’s picture book of all time. The idea behind Little Golden Books—a collaboration between Simon and Schuster and Western Printing, based in Racine, Wisconsin—was to make children’s books affordable to ordinary families. The first dozen titles (they also included The Little Red Hen, The Animals of Farmer Jones, and Prayers for Children) were priced at 25 cents each; in their first six months, 1.5 million copies were printed. What a noble achievement of mid-century American capitalism! What a boon to literacy! Without the Little Golden Books line, how many children would have owned no books at all? Sometimes, when I’m reading The Poky Little Puppy to my daughter, I think I’d be OK with that. “Five little puppies dug a hole under the fence and went for a walk in the wide, wide world,” the book begins, not uncharmingly. One of the puppies is slower than the others. When the others reach the top of the hill, he’s still at the bottom, where he smells rice pudding. Hearing this, the four speedier puppies rush home for supper, but their mother punishes them for sneaking out, and they get no dessert. The protagonist, by virtue of his pokiness, arrives home after the mother has gone to bed and eats all the rice pudding. The story repeats again on the third day, with strawberry shortcake this time. But now the faster puppies repair the hole under the fence and are rewarded with strawberry shortcake, leaving none for our poky hero. This seems like a fable: There are animals acting like people and punishment and reward and the “rule of three” structure. As a fable though, it’s incoherent. On the first two days the Poky Little Puppy gets the desserts to himself—five portions of dessert a night, for a total of ten portions. On the third day, each of the other puppies gets one-and-a-quarter portions—they share the PLP’s serving—whereas the PLP gets none. Over three days, the Poky Little Puppy is up by eight-and-three-quarters desserts. What are we to conclude from this? That pokiness pays off? That pokiness might be highly advantageous in some circumstances but marginally costly in other, less common circumstances? Or that Janette Sebring Lowrey had no point in mind, was unconcerned with the ethics or pragmatics of pokiness, hoped only to borrow the fable form, with its weighty theme and didactic tone, and use it to disguise her lack of moral vision? This inadequacy functions like sudden turbulence on a plane flight—something uneven and wrong that’s impossible to ignore. It’s not just that it’s unsatisfying—the text of Good Night New York City is just a list of Manhattan landmarks, for Christ’s sake. It’s that it seems to promise satisfaction—it activates the story-recognition glands in my brain —and delivers nothing. Over and over, the puppies go up the hill, count themselves, and go down the hill again. Why does it take them so long? For the reader there can be no drifting off, no pleasant trance, no escape. All I can think about as I read it is the particular agony of reading it. 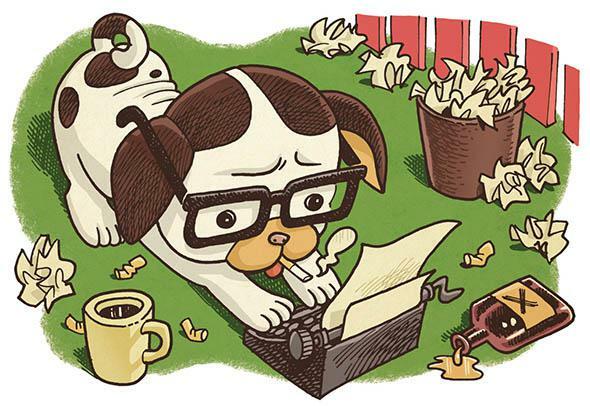 I should note that, at the time of writing, The Poky Little Puppy has 322 five-star reviews on Amazon. If you read them, though, many turn out to say things like “I can still hear my grandmother’s voice as she read my favorite books aloud to me and it’s something I cherish now that she’s passed away.” That’s how children’s books can achieve a kind of escape velocity: Their sales are sustained in perpetuity by nostalgia alone. (Adult books don’t work that way—the books that remain in print for seven decades are the classics rather than the best-sellers.) Millions of people enjoyed The Poky Little Puppy as children, because it was cheap and because, being children, they had no standards. They grew up to be parents, remembered the book fondly from childhood, and purchased it for their own children. It’s an intergenerational cycle of crap, and it’s the reason The Poky Little Puppy and The Little Engine That Could and God knows how many more terrible books have been in print for three-quarters of a century.